Internet on the Olivetti PC1? Yes why not, it's possible! And since this page was written in April 2017 when the PC1 is 30 years old it's the perfect time to get this old PC back to life. Check the tutorial on the Internet on the PC1 page. Spoiler alert, I'm using mTCP and one ISA modem. 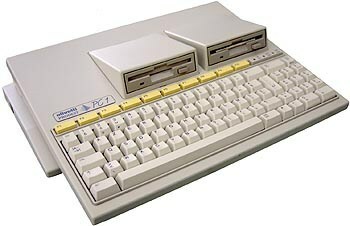 Go to the Internet on the Olivetti PC1 page for more details.